 Kona-Hi now has it’s own Online Store! We have almost everything “HAWAII” you are looking for! Scroll through and check out what we have, you will be surprised at our massive inventory! We have a great selection of Surfboards with very competitive pricing. Many of our Boards include Free Shipping to anywhere in the US. If you are considering purchasing a New Surf Board click the image or SEE ALL OF OUR BOARDS HERE! We here at Kona-Hi have an extensive supply of Snorkeling Gear. What ever you are looking for, we have you covered, from the standard equipment to state-of-the-art Snorkel Gear. Check out our best sellers or to see all of the equipment we have available, CLICK HERE! ProDive Premium Dry Top Snorkel Set – Impact Resistant Tempered Glass Diving Mask, Easy Adjustable Strap. Waterproof Gear Bag Included. Beach Towels are one of our specialties. Our wide assortment of beach towels will allow you to find just what you are looking for whether for yourself or as a great gift. To see all of our Beach Towels Go HERE! We have the only coffee grown in the USA. Kona Coffee is world renown as a high quality delicious coffee and if you haven’t tried it, we at Kona-Hi highly recommend the experience that will bring you back the memories of the islands. Below are our most popular blends but we have many more choices at KailuaKona.Coffee, the website! Check it out and find your favorite blend! Footwear is definitely something different when you are in Hawaii. The people of Hawaii have a tradition of removing their shoes when entering someone’s home. It is much cheaper to slip off your slippers (otherwise known at flip-flops on the mainland) To see all of our inventory visit this SITE BY TAPPING HERE! Hawaii has so many secret spots, the only way you are going to find them is either by knowing somebody local or taking a guidebook with you to explore. We have selected our best sellers to help you navigate the islands like a pro! Check these out! The unique shirts and shorts of Hawaii are always a huge hit! These products make great gifts or excellent conversation starters to share your very own Hawaiian Vacation memories! To see all of our Hawaii Shirts CLICK HERE! To check out all of our Board Shorts, CLICK HERE! For all of your Bikinis Check out our full inventory HERE! 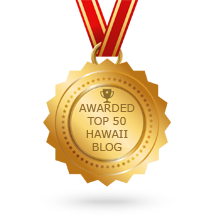 Whether you are about to go on vacation, your on vacation or you have recently been on vacation to the Hawaii Islands, everybody wants a souvenir from your trip! Here at Kona-Hi, we have you covered! Below are a few of our popular items. To see everything we have CLICK HERE!